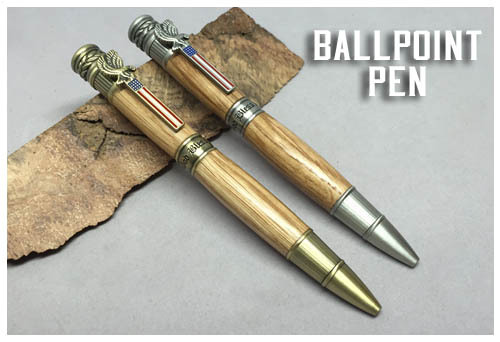 This style pen is called the "American Patriot". This is one of my favorite designs. 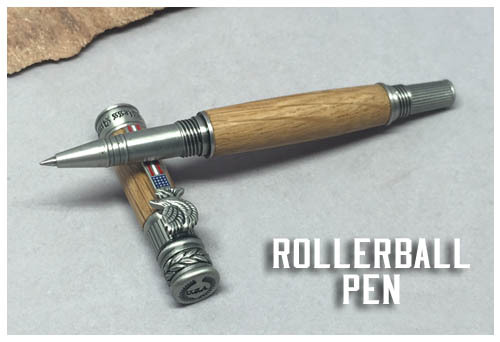 Proclaim your national pride and love of country (and bourbon) with this most patriotic pen. Rich design details abound. 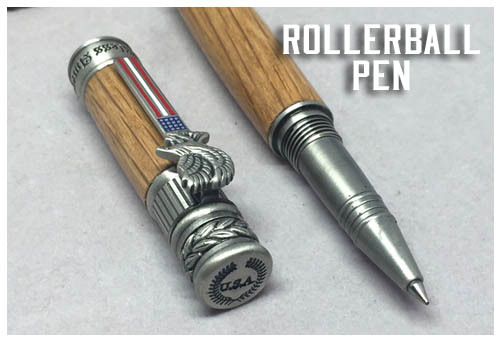 The pen clip features an American flag and bald eagle emblem. 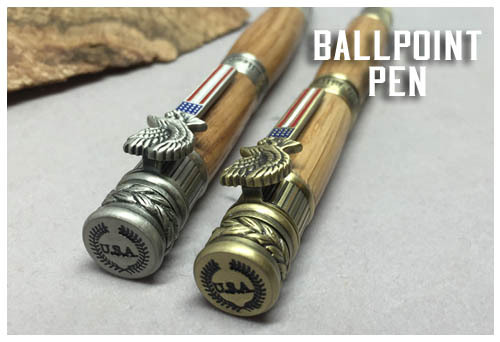 The pen end features a laurel leaf, a symbol of victory and a popular motif in the Federal style of architecture. 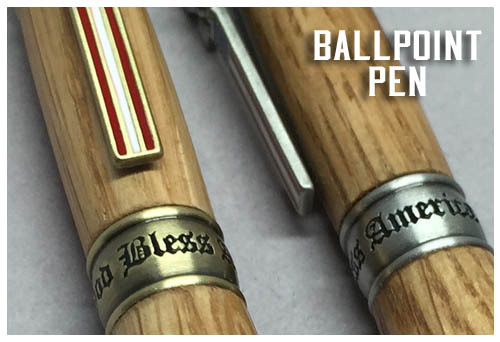 God Bless America is etched into the pen band. The Antique Brass or Antique Pewter will add a sense of warmth and history to this handmade creation. These have an excellent weight and balance. Twist mechanism. Twist at the middle of the pen to extend the ink. Excellent weight, balance, and a smooth writing performance with a Parker style refill. Twist to remove the cap from the post. 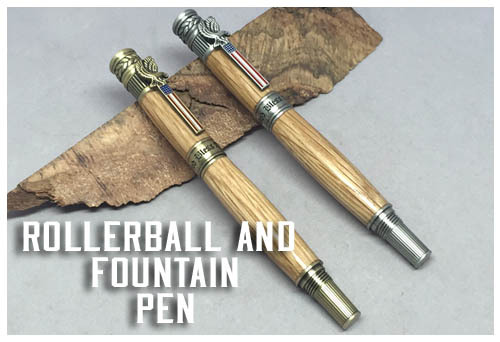 This design is "postable," which means the cap can twist onto the back of the post for storage and balance while writing. Schmidt, Schneider, Pilot G2 style refill. Any that are the same shape will fit. Refills are available below and at most office supply stores. Sorry -- this design was discontinued by the manufacturer. They are gone! (you can still smell it! ), and a presentation sleeve. Custom engraving and gift boxes are available for an additional fee.